Guadalupe Uribe, 25, allegedly stole the van belonging to a newspaper carrier while the victim was delivering newspapers at Sergeant Fernando De La Rosa Memorial Library, located off North Tower Road, at approximately 8:15 a.m. Friday. The carrier left his van on while he dropped off the weekly Spanish-language newspapers, and by the time he returned, it was gone. Information provided by a bystander who witnessed the theft aided Alamo police in tracking down the stolen vehicle at an H-E-B in San Juan. The San Juan and Donna police departments also provided assistance. 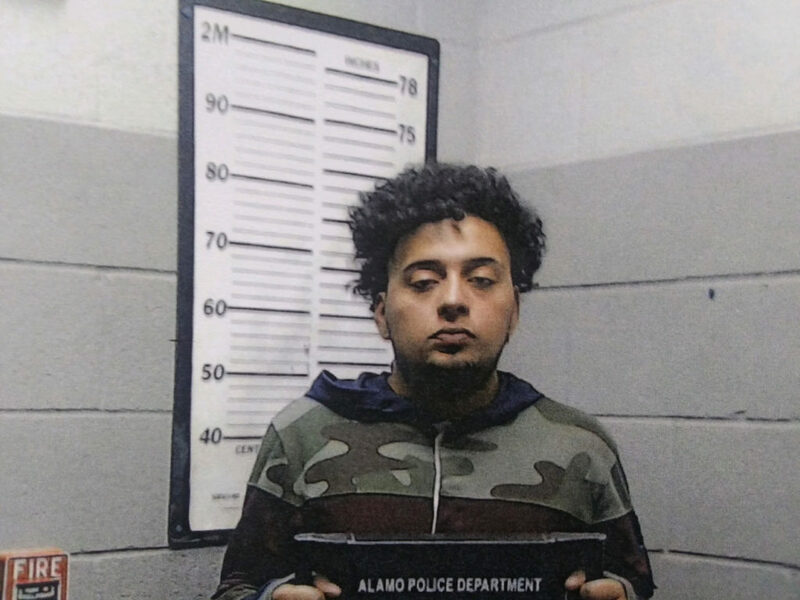 Alamo police officer Juan Meza said the incident should serve as a warning for residents of Alamo and the Rio Grande Valley, and urged residents to avoid leaving their vehicles unattended, especially if valuable objects or children are inside. This time they were able to find the culprit, but too often these cases go unsettled, Meza said. Uribe is set to be arraigned on Saturday.